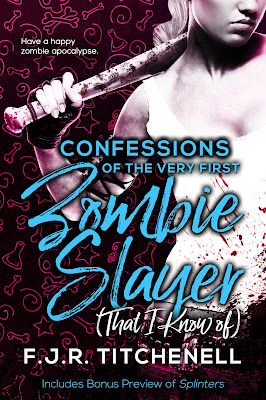 Bittersweet Enchantment: Book Blitz: Confessions of the Very First Zombie Slayer (That I Know Of) by F.J.R. Titchenell + Giveaway! 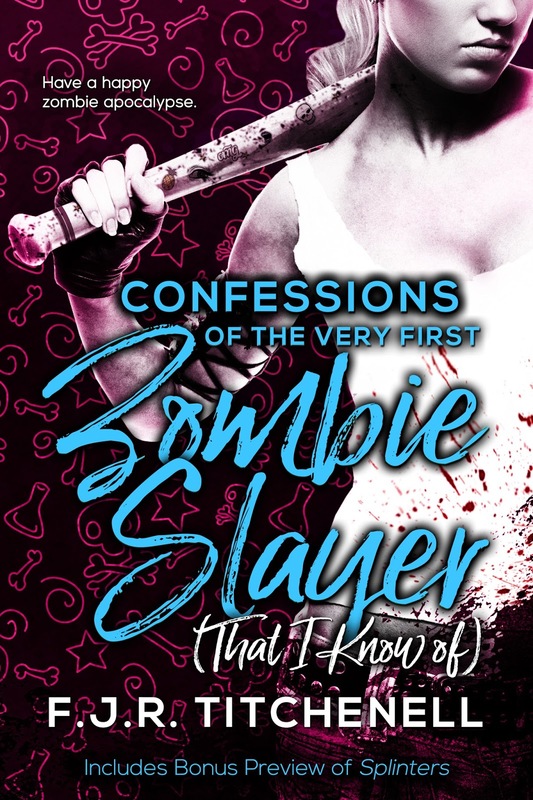 Book Blitz: Confessions of the Very First Zombie Slayer (That I Know Of) by F.J.R. Titchenell + Giveaway! 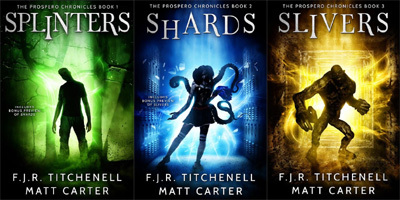 Be sure to enter the giveaway below to win some great new books! Still, Cassie’s an optimist, more prone to hysterical laughter than hysterical tears, and she’d rather fight a corpse than be one. She’ll never leave a friend stranded when she can simply take her road trip to impossible new places, even if getting there means admitting to that boy that she might love him as more than her personal jester. Skillfully blending effective horror with unexpected humor, this diary-style novel is a fast-paced and heartwarming read. “Heartbreak, humor, a very large number of crushed skulls and even romance ensue . . . . Readers who don’t mind a little brain spatter on the windshield will be happy they took this particular trip.” —Kirkus Reviews. “You know when you read a book about teens and you think the author just didn’t get it? Well, F.J.R. 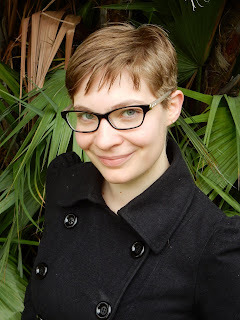 Titchenell gets video gaming, paintballing, Vespa riding, teenage tomboy angst, true love, the uses of theater paint—oh, and killing zombies.” —Lehua Parker, author of the Nene Award-nominated Niuhi Shark Saga. “The story is fast, filled with dark humor, and lots of blood and guts.” —All Things Urban Fantasy. The day’s first light made it possible to see the few small columns of smoke rising from the houses that were burning unchecked, without interfering with the starkly perfect outlines of the patchwork power outages. It reminded me a little of the mornings after bad earthquakes or storms, with one important difference. All of those mornings had been the calm after, when the damage is assessed and rebuilding begins. This was what you would get if you took one of those mornings, shrank it down, and sprinkled it with monster insect larvae. The whole valley still wriggled, not with normal, productive human activity, but with continuing disaster. From the mountain police station’s height, I couldn’t see every detail of the walls and windows and gardens that had been torn apart in the single-minded attempts to reach the live people barricaded beyond. I could see the movement of the bodies that were doing the tearing. It was that same determined, methodical destruction from the broadcasts, heedless of the rule that said bad things were supposed to be gone when the sun came out. The police presence was still visible too, but it was sort of like a spiderweb in the path of a garden spigot, impressive only in its optimistic persistence. The little clusters of blue lights stood out against the sea of red because, oh yeah, here’s the important part: The streets were completely, bumper-to-bumper, Super Bowl stacked parking lot packed. I’ve been late for school more than once because just one traffic light was out, or one road was blocked with accident debris, or someone was getting busted on too public a sidewalk, begging everyone to slow down to stare. All of those things were happening fifty times over at once in the valley that morning, and that’s why, even though the car’s aging GPS might theoretically have been able to lead me home, I turned back onto the road leading back up the mountain, back in the direction of the campgrounds and resort. Well, “turn” is actually an excessively graceful word for what I did. It doesn’t quite conjure up the grinding sound of the few seconds between finding the reverse and noticing the parking break, or the screeching flash of sparks when the bumper clipped a metal gate on the way out, but the end result was mostly the same. My chosen route wasn’t completely abandoned, but most of the other cars I passed were headed down instead of up, or pulled over to the sides, either with their hoods open or with their occupants simply staring at the bleak scene below. I passed them with the siren on, trying to look taller, wishing I’d taken a uniform shirt to cover my stained, grey tank top, but no one looked at me closely enough for it to matter. A sight that might have raised eyebrows on any other day was just part of the chaotic background noise now, a minute scrap of help already claimed by someone else. Seventeen murders, if people wouldn’t admit that these things weren’t alive in the first place, or just one instance of manslaughter if they would, I counted off in my head, plus escaping police custody, grand theft auto, driving without a license, oh, and plain old grand theft if you counted Suprbat and the rest of the stuff on the passenger seat. And I was pretty sure that precisely not a single one of those things would end up mattering. One way or another, life was definitely never going to be the same. But like I always do when annoyingly big, smothering thoughts like that one start creeping into my head, I looked extra hard at the moment right in front of me, and I was getting all ready to pat myself on the back for finding the resort safely, with all four tires intact and two hubcaps still in place, angled neatly between the white lines and everything, when I gave the brake an extra tap, only it turned out not to be the brake, and the world disappeared into darkness and stars as the airbag claimed the space I’d been sitting in. F.J.R. Titchenell is an author of young adult, sci-fi, and horror fiction. 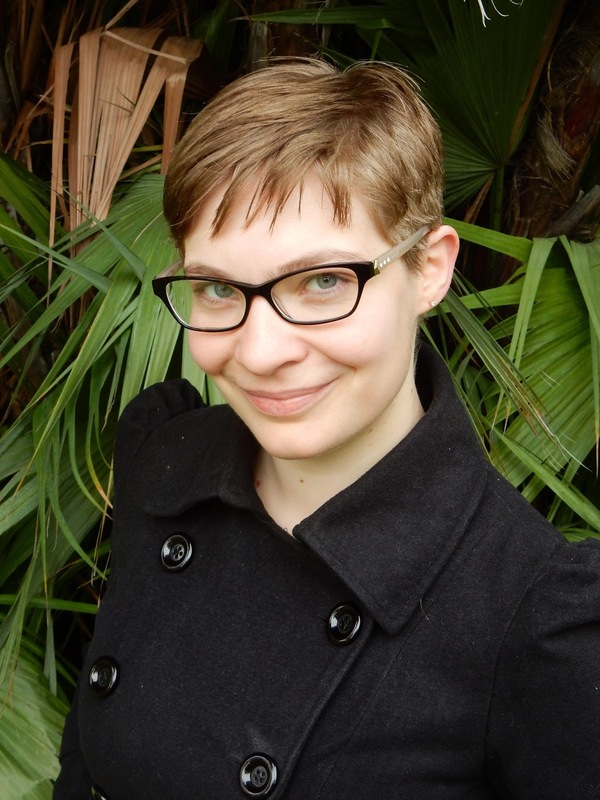 She graduated with a B.A in English from California State University, Los Angeles, in 2009 at the age of twenty, is represented by Fran Black of Literary Counsel, and currently lives in San Gabriel, California with her husband and fellow author, Matt Carter, and their pet king snake, Mica.